BARRHEAD BOUROCK Church: Request for cover on Sunday 26th August. 11am service. Please contact Pablo Robertson by placing a comment on the Facebook group posting or Private message him ( On night duty so not keen to have phone going off!). He will check the post and respond. If you do not have Facebook use the contact page above and we will pass on the info. Thanks. Tom White. St Patrick’s Church Sheildmuir need an organist this Sunday for 9:30am. Please if you can help let us know or contact 01698 351921. Is there anyone out there who can stand in for me on Sunday June 3rd at Cambusnethan North Church of Scotland? 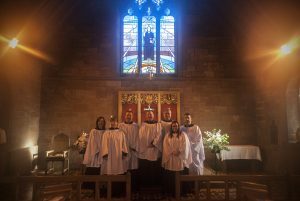 Mearns Kirk Parish Church are looking for an organist for Watch night service on Christmas Eve. Is anyone available to help? 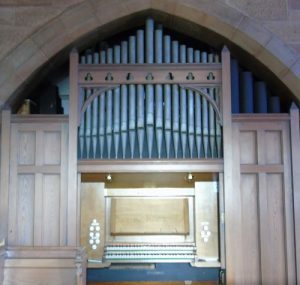 Would anyone able to provide organ cover here for Peter Livingstone on September 10, 17 and 24th please contact Geoff Sage on 01236 756550. (Church Officer). Please let us know here too when cover is arranged. Thanks. PS service is at 11am Organ is a delightful restored small Brindley and Foster. Park Church Giffnock are looking for organ Cover on 9th, 16th and 23rd July. If you can assist please contact Rev Calum Macdonald on 0141 638 3023. Vincent pipe organ. 11am Sunday morning services. Urgent request for cover this coming Sunday 14th May at New St.Andrews Parish Church, Coatbridge. Please contact organist Stewart Alston on 01236 424553 for full details if you can help. Thank you. Deputy required for Sunday May 21st. Contact us (above) or email webmaster.lanarkshireorganists@gmail.com and we’ll put you in touch with Harry, the organist at the North Church.